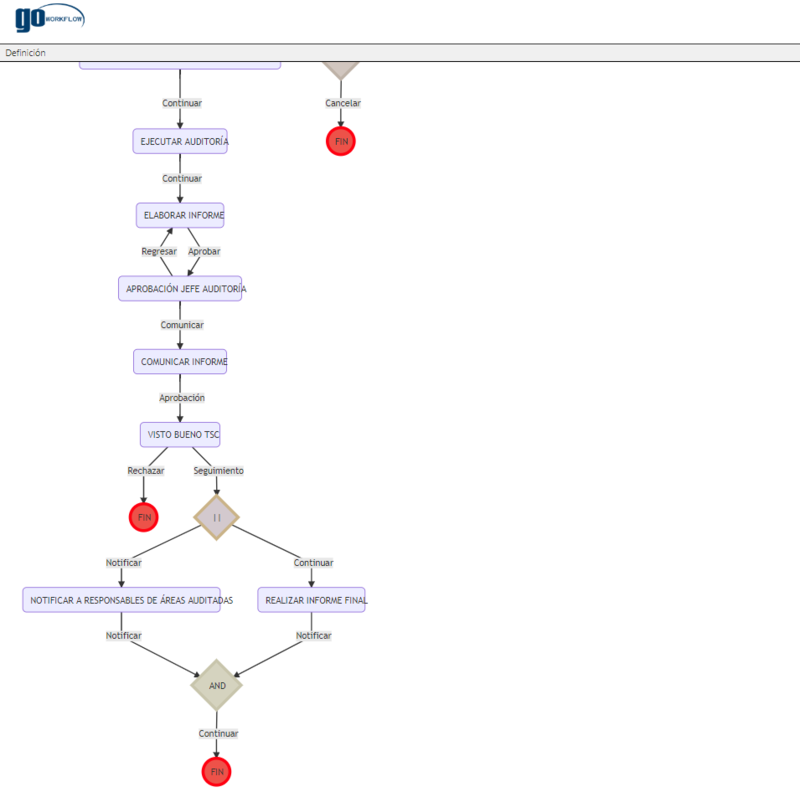 GO Workflow is an engine for business process management. It has an array of own functionalities particular to a BPM (Business Process Management) allowing you to integrate it easily in different ways to the software platform of any organization. What functions does it include? 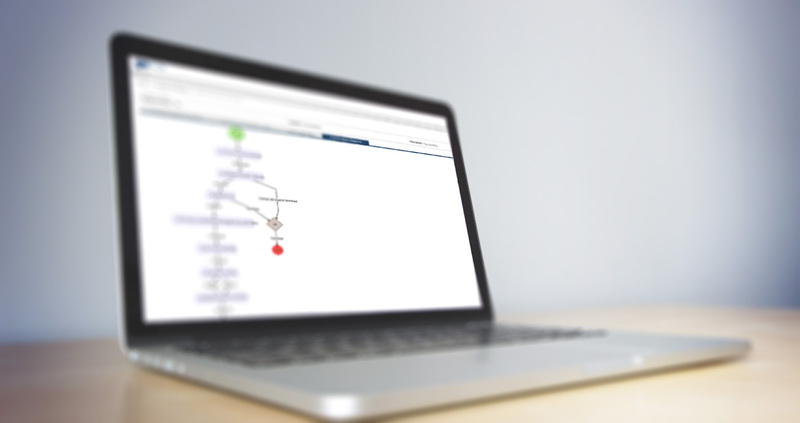 Rapid process modeling: in a simple way an administrator user will be able to model any process inside the tool. It is allowed producing new versions by keeping previous historic. Email notification: those who are involved in this flow could receive notifications if they wish some or all the flow stages. Task validation in stages: It is allowed to parameterize an array of tasks which must be performed to move on the next stage. These tasks can be automatized (integrating them to other systems) or manuals ( check lists). Handling expiration times in stages: For those stages where there is an expiration time, we have a functionality that is define when modeling the process. 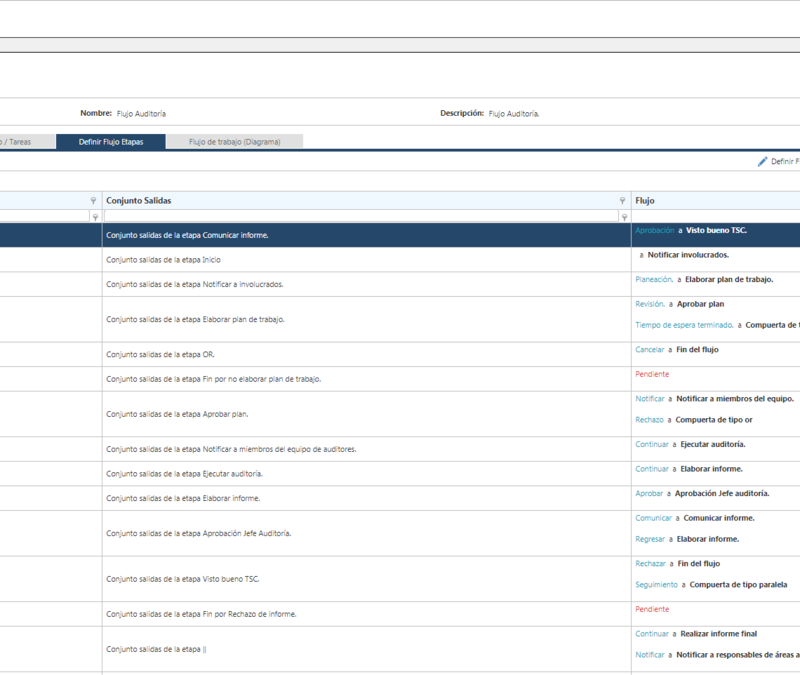 Flowing logbooks: we count on logbooks that allow to know details of each executed flow inside each tool. Integration with customer systems: we count on events that are executed when changing the stage for integrating other software. This functionality allows updating other systems with the workflow. 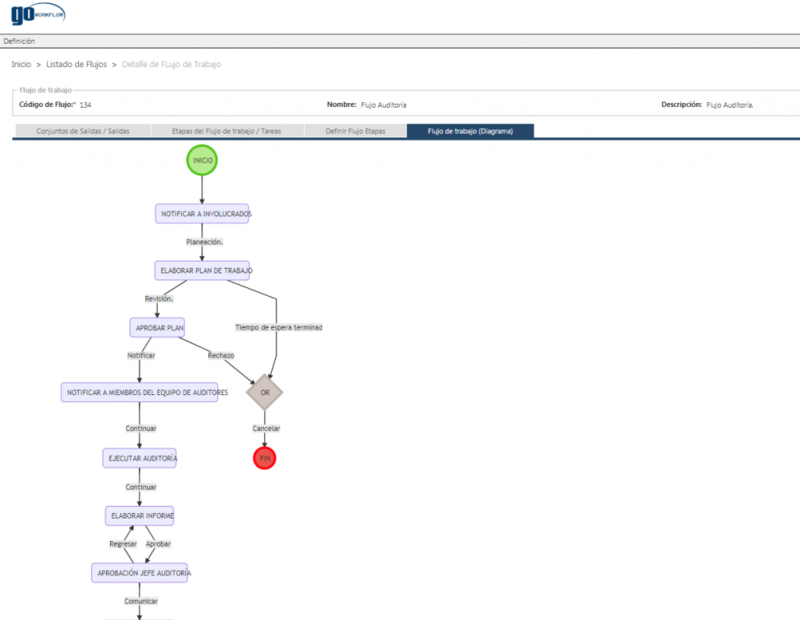 Measurement metrics: when modeling a flow, expected times by stages can be established. That allows to compare the expected time to the effective time of each stage. Handling roles by stages and tasks: it applies for stages where the work teams are made. This is achieved by keeping a role for stage and segregating stage tasks in different roles or people. 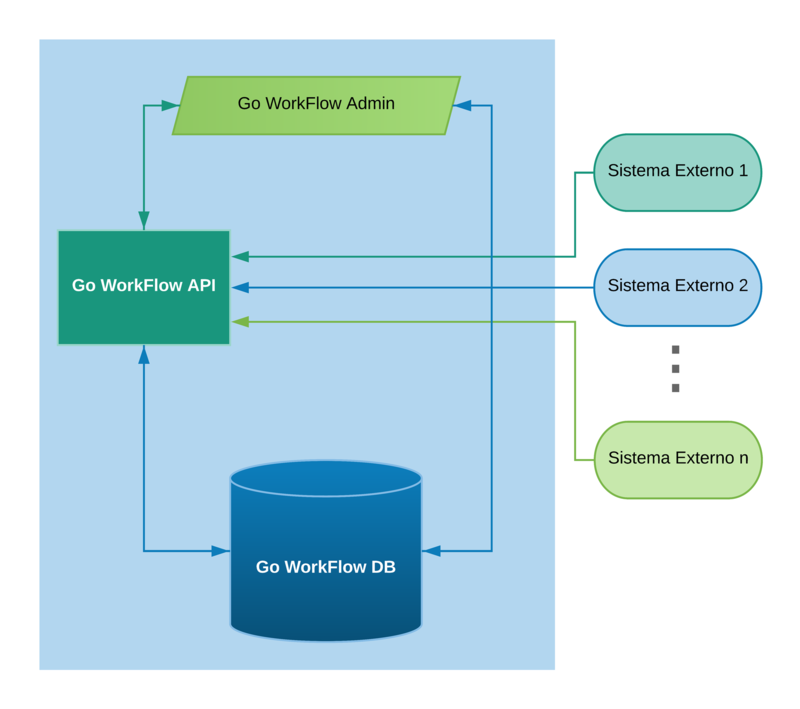 The diagram describes how the Workflow engine works internally and how it is integrated with external software. Consulting how is a particular flow. Managing all the authenticated user pending tasks where the user takes part. 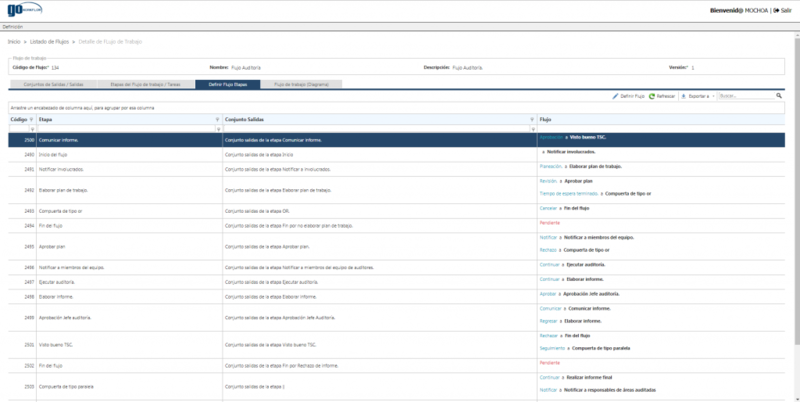 Listing of authenticated user pending stages and tasks. 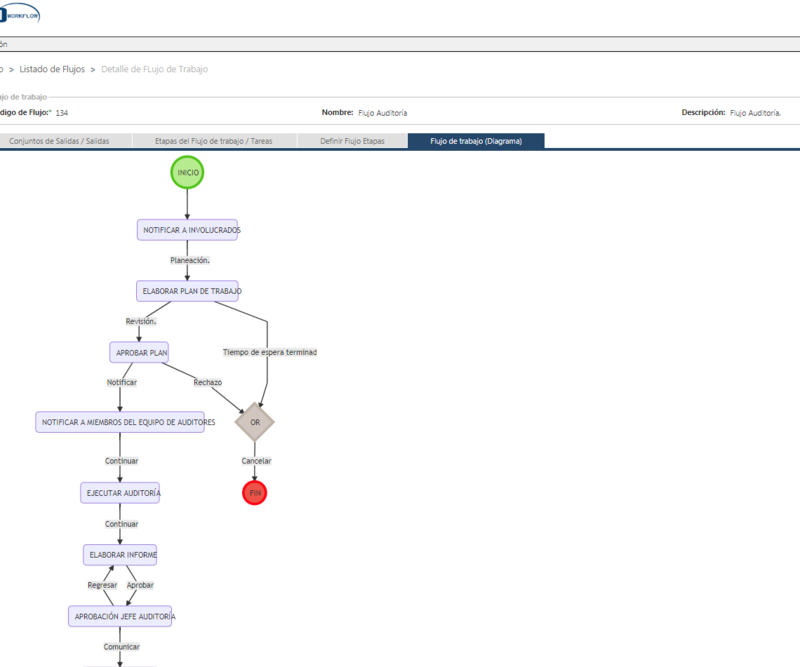 Functionality for starting the new flow. Listing for user tasks for a particular stage among other. 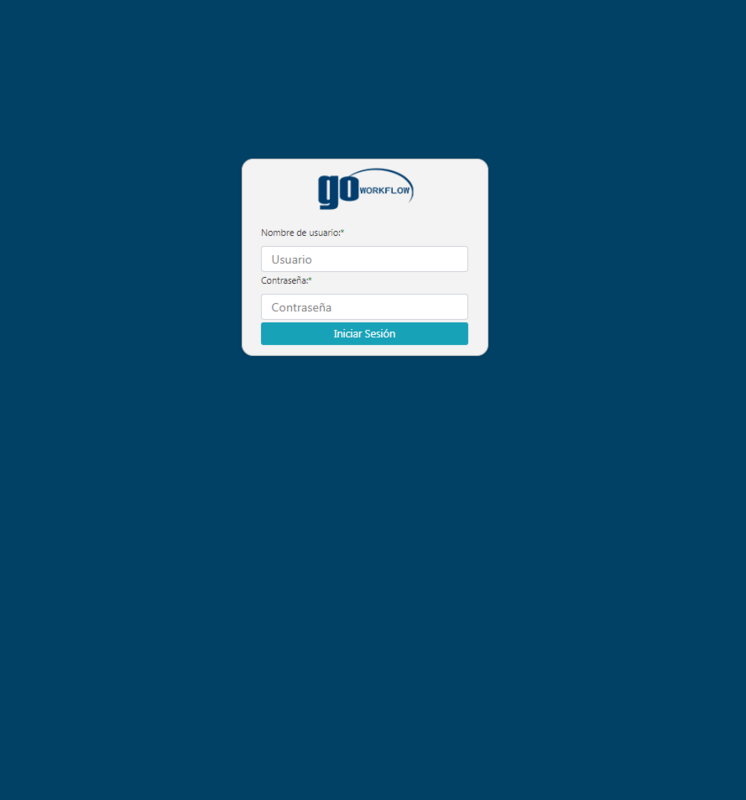 GO Workflow DB: Relational database that stores up objects that allows the engine to work correctly. Get more information about this service, write us using the following form. Our staff will answer all your questions.